Cyclesnack: Down hilling tip: Don't ride rigid, even on a fat bike! Down hilling tip: Don't ride rigid, even on a fat bike! 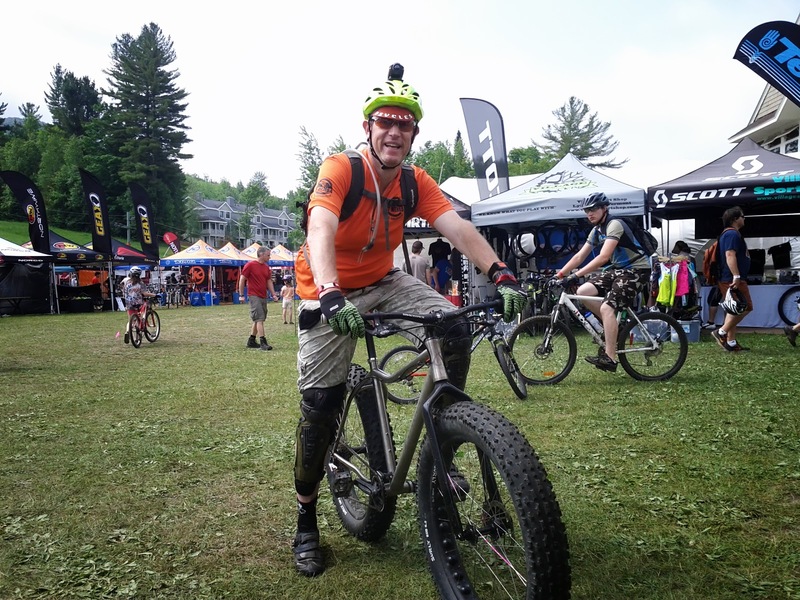 Keith Coughlin took this Carver, Ti O'Beast fat bike for demo ride but I don't recall what he said about it or whether he liked it. That prompted me to give it a whirl. Now, I don't know much about what a fat bike should weigh but this O'Beast was light! Rolling on Surly Bud and Lou, 4.8" wide tires, and it felt like the John Deere tractor my great grandfather had back in Wisconsin that went anywhere and everywhere! One major drawback is that the O'Beast doesn't fit on the rim hooks for the chairlift so I had to carry the bike in my lap. Thankfully, it was light enough that it was really no trouble to hold onto the bike. 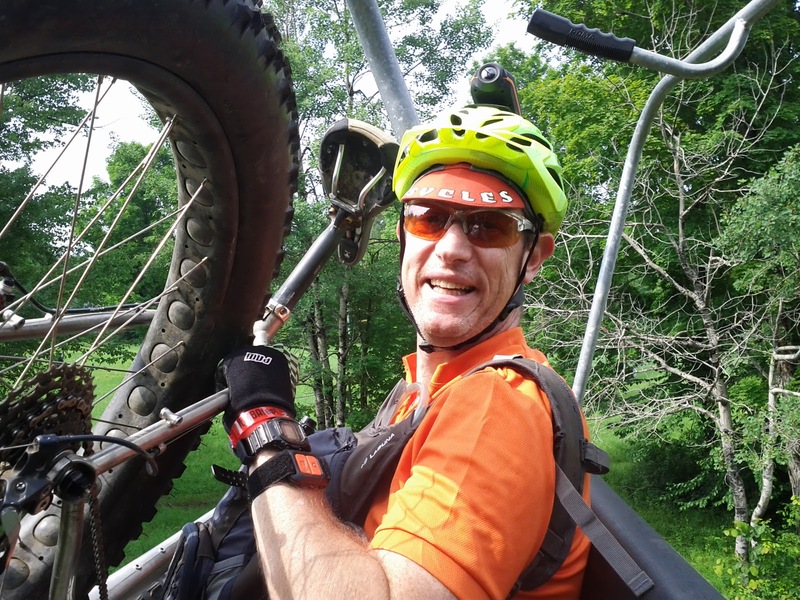 My first ever down hill ride, on the fat bike was on the Rolly Grail trail. Not terribly challenging but a good warm up for something harder. Harder, and even more fun was Jester. 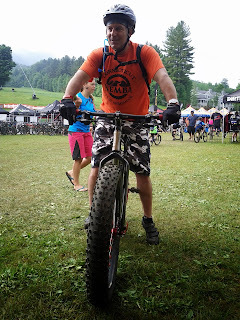 Riding the fat bike, downhill, was intense and thrilling. Reminded me of riding in a M-60 tank where the suspension smoothed out the ride while the gun barrel smoothly tracked it's target. Overall it was a great ride and would like to try it again with some snow on the ground. Riding this way is not a replacement for full suspension because the following day I was very sore! Thou shall ride Single Speed! TGFF - Thank God for Freds!